CMS have been part of many new build and rebuild projects and our ongoing research and development program leading to enhanced customer satisfaction and multiple projects for the same clients. CMS provides design services, build supervision and oversight, project management, owners representation, and advice on all aspects of the design and construction process. CMS have design experience with high speed and displacement vessels, both mono-hull and multi-hull configurations. Our designs have been built in steel, aluminium, GRP and timber, with all designs meeting both local and overseas class and survey requirements. For construction in steel, aluminium, CMS can provide a kit of flat pack style parts that can be assembled quickly and easily by an experienced boat builder. We can also provide a CAD drawn cut-file containing all the component parts of a vessel for exceptionally accurate materials quotes. This also allows our vessels to be built easily overseas. CMS also provides detailed construction drawings covering every aspect of a build project whether it is a new CMS design, or a modification to an existing vessel. Call or email us for a no obligation discussion about your specific vessel or project needs. We are available 24/7. Click here for contact details. Commercial Marine Solution (CMS) have worked with multiple boat builders and ship builders in Australia and overseas providing naval architecture and maritime consulting services. The Asian countries that CMS have worked in include China, Indonesia, Myanmar, Singapore, Hong Kong, Thailand, Malaysia, Vietnam, Taiwan and the Philippines. 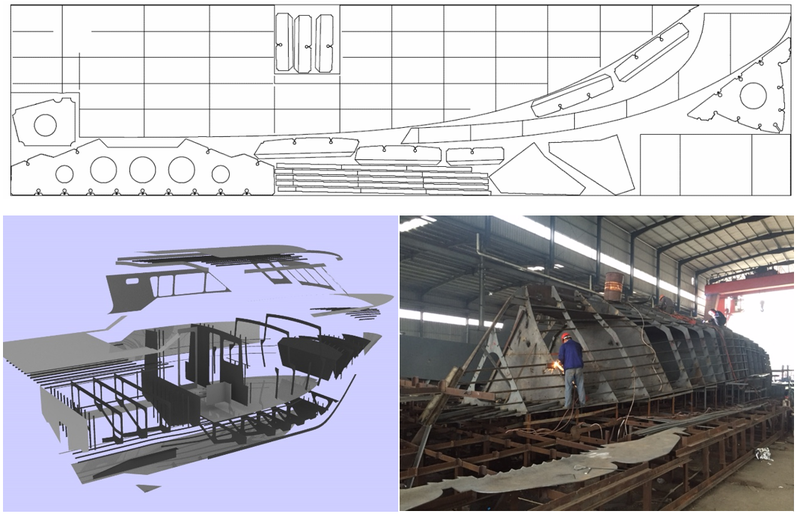 Commercial Marine Solutions have also worked in the Middle East and United Arab Emirates with boat builders and ship builders in Abu Dhabi, Dubai and Sharja providing marine design and marine consulting services to new build and consulting projects. Call or email us for a discussion about your specific vessel or project needs. We are available 24/7. Click here for contact details.